This classic style number one graphic is decorated like the American flag. A great graphic for races, sporting events and Independence day designs. 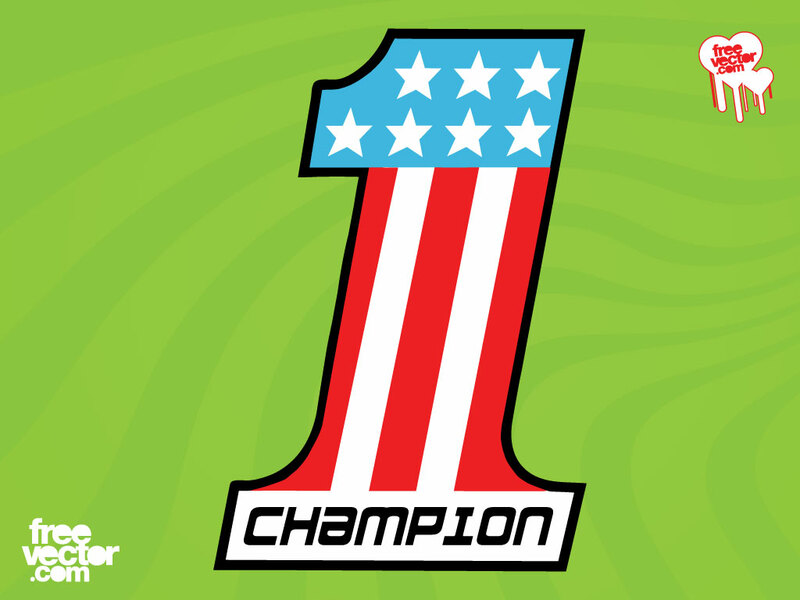 One features stars, stripes and text reading “Champion”. Tags: 1, Achievement, America, Best, Champion, Number, Usa, Winner.